This week, I posted my annual Bookish Gift Guide, with 22 amazing and exclusive discount codes. 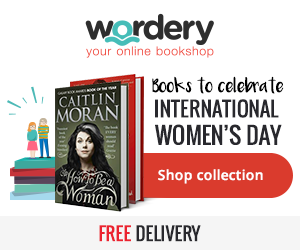 You may know if you follow me on Twitter, I recently won £100 of books from Wordery. I know what you’re thinking, how are these two things connected, right? I decided to reach out to the friendly people at Wordery to see if they would like to offer a discount code to Confessions of a Book Geek readers, and amazingly, they said yes! The Collection was created especially for the Confessions of a Book Geek Bookish Gift Guide, and includes a range of tote bags, book box sets, notebooks, and stocking fillers. Get 10% off when you buy any 2 items from the collection with the discount code BOOKGEEK! Discount code expires 18th December 2016. Click here to browse the collection. I’ve gathered together some of my handpicked favourites to give you a taste of the collection! Click on an item below to open the gallery, and then click through to the website. Let me know if you pick anything up, I have my eye on a couple of box sets, the Talk Wordy To Me tote, and those bookmarks! Happy shopping, Book Geeks! ← 2016 Bookish Gift Guide with Exclusive Discounts!